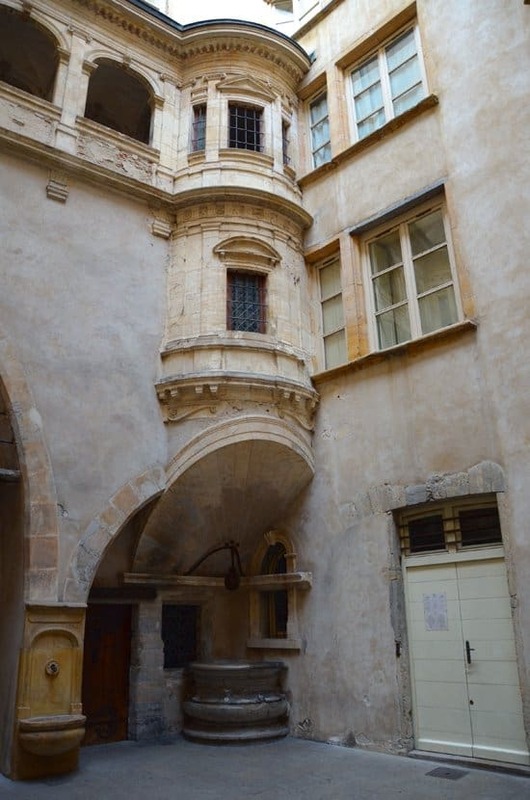 A major attraction for visits to Lyon is the city's famous traboules, which are simply corridors through buildings and their courtyards. 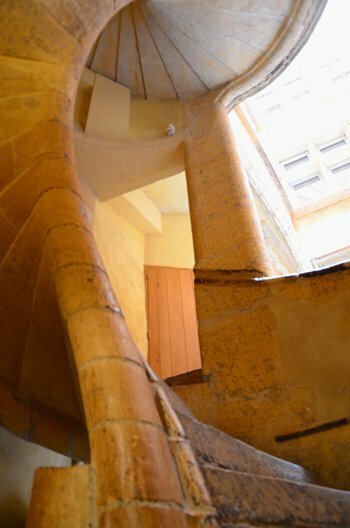 During the Middle Ages there were only a few parallel streets in Old Lyon between Fourvière Hill and the Saône river, so the first of these passages were built to connect one street directly with another. 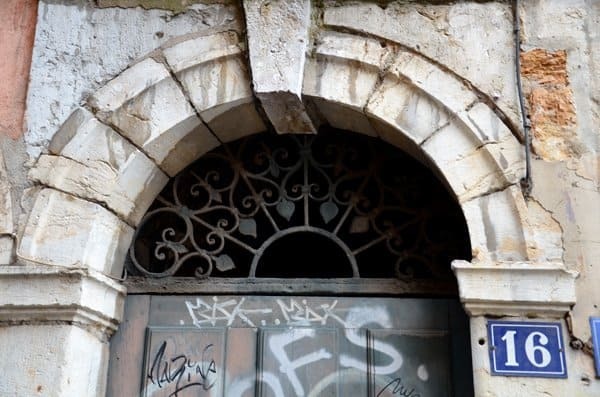 Each traboule is unique in its architectural style, with different points of interest. 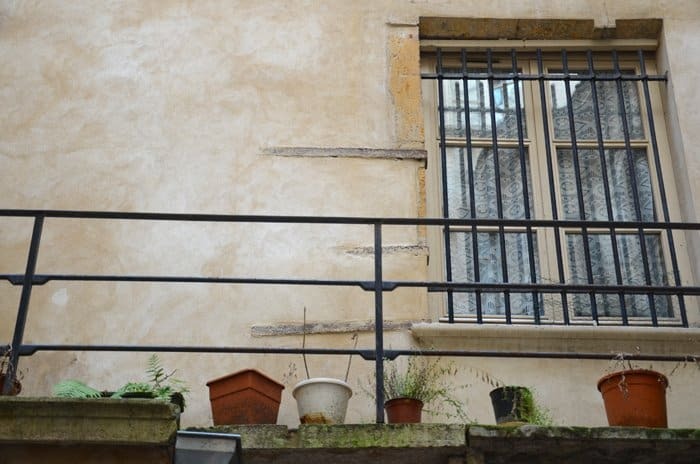 They are at once secret passageways, galleries and windows into the life of the people in Lyon. 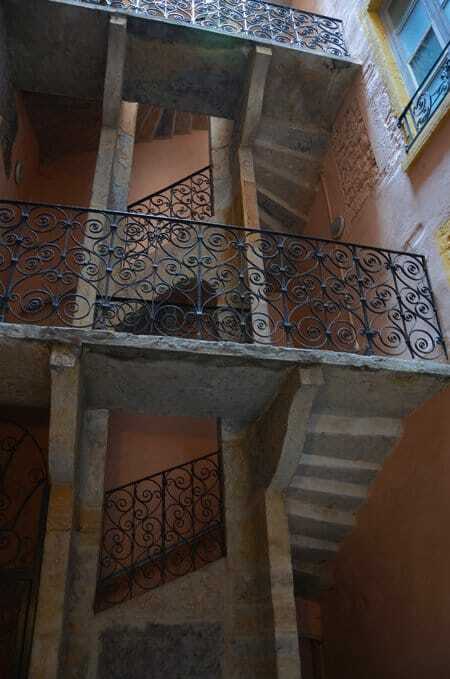 Spiral staircases and balconies are interesting elements to admire here and you can peek at the different mailboxes and windows as you pass through. 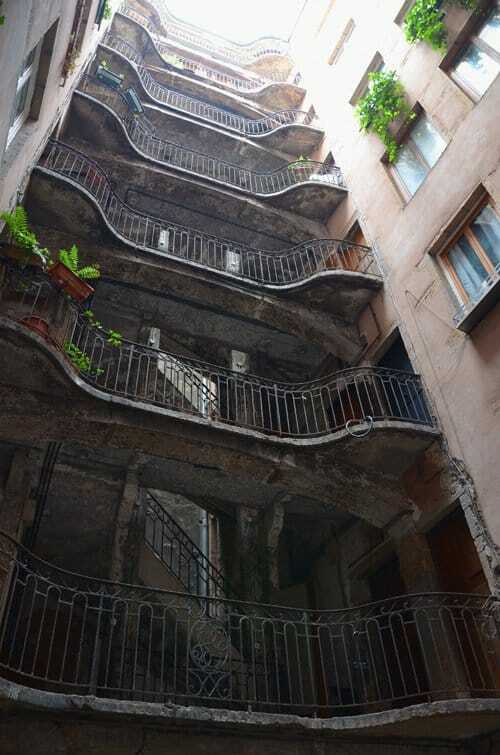 When exploring the traboules it's important to be as quiet as possible because people are living in these buildings. This is especially important if you visit on a weekend morning. 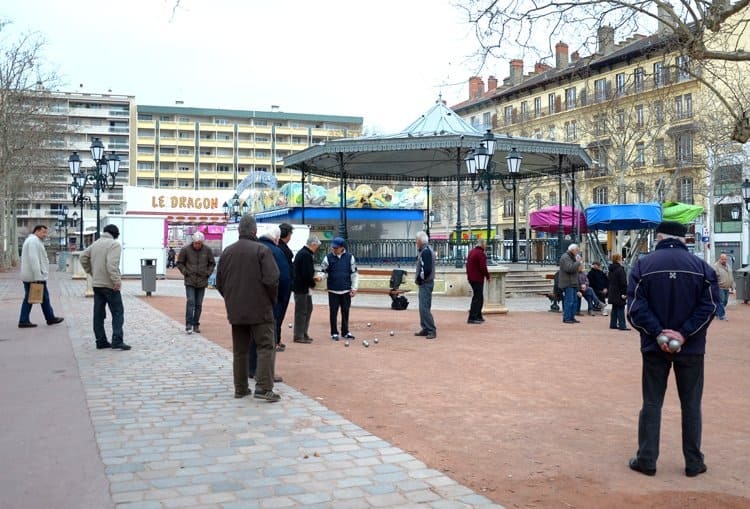 Some traboules are officially open to the public all the time, while others are open in the morning for service, providing access to all. To open the doors, press the service button at the entry keypad. You should not visit the traboules at night. 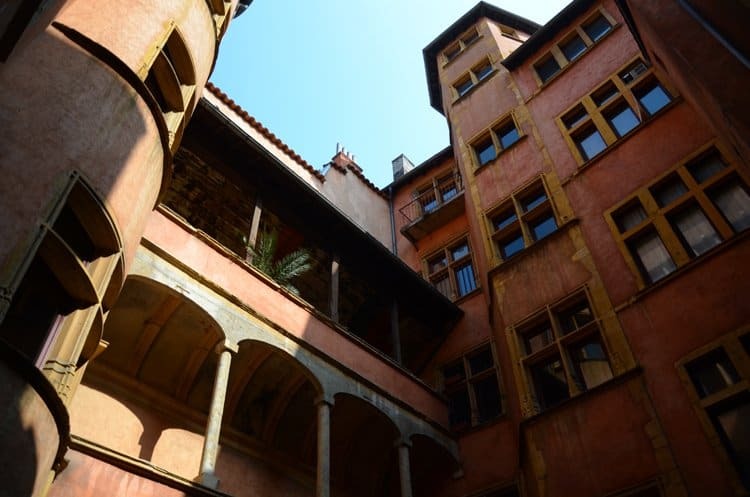 All of Lyon's traboules and courtyards are marked on a free map and guidebook from the Lyon Tourism and Conventions Bureau. 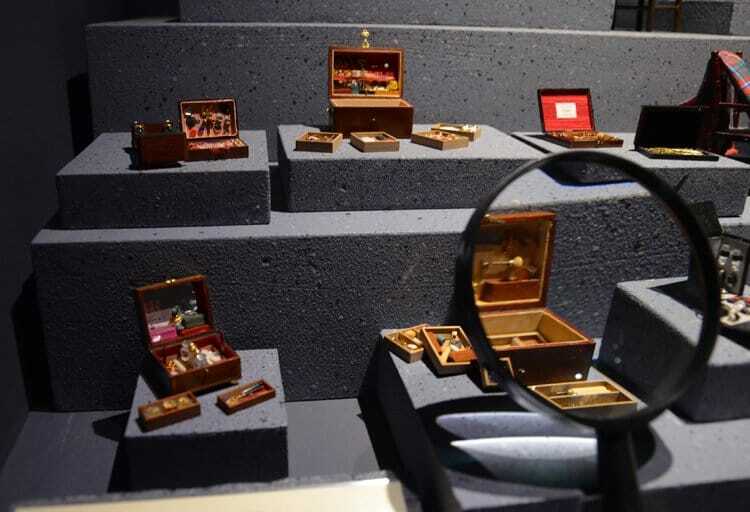 There is also a new iPhone app called "Traboules" available from the iTunes store, which will help visitors discover the traboules around the city. Should you like a little more guidance and information, you can organize a two hour tour of the traboules, either in Vieux (Old) Lyon or in the Croix-Rousse. We took a general tour of the Old Town with our guide, Jérôme, and it was fantastic. He showed us several gorgeous traboules as well as many other points of interest in the city. 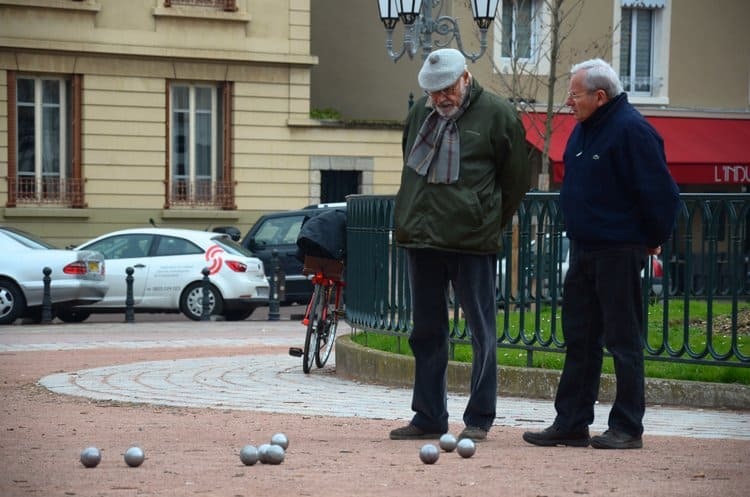 After a morning exploring the traboules, it's nice to take a drink somewhere and watch a game of boules (not that you would want, or be able, to confuse the two). 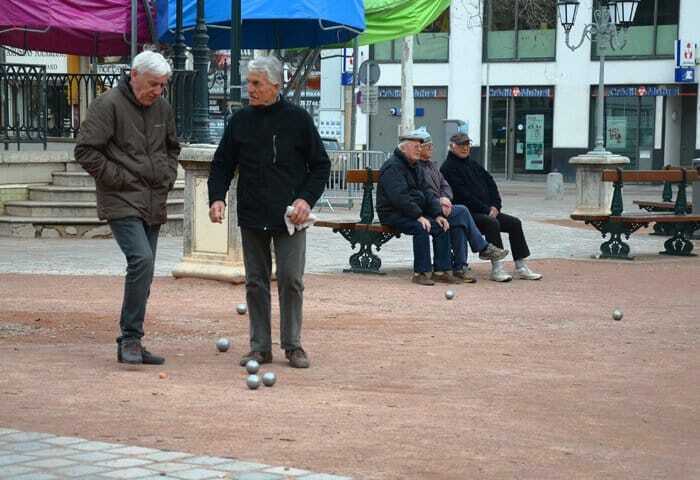 In Australia we have the game of lawn bowls but in France it's all about the boules, also known as pétanque. 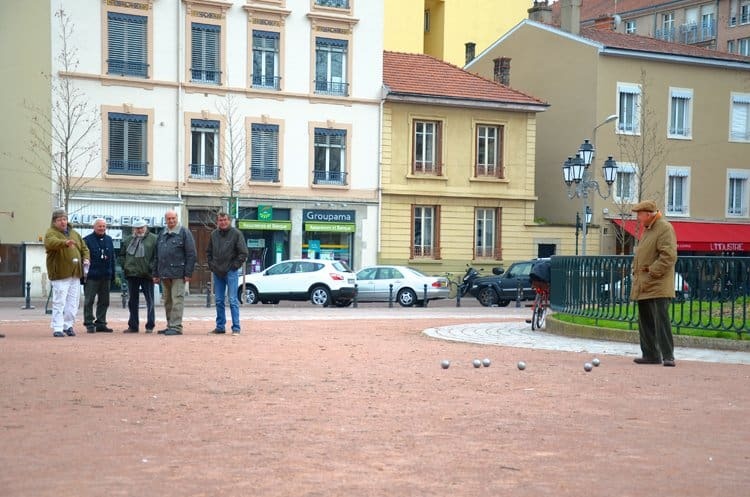 You'll find boules courts all over the city, especially in parks and gathering places. 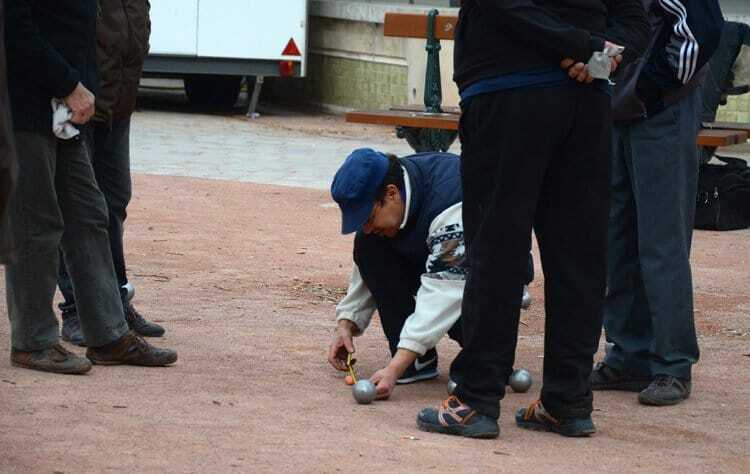 One afternoon, after visiting the Lumière Museum, we encountered a few lively games of boules in the 8th arrondissement. 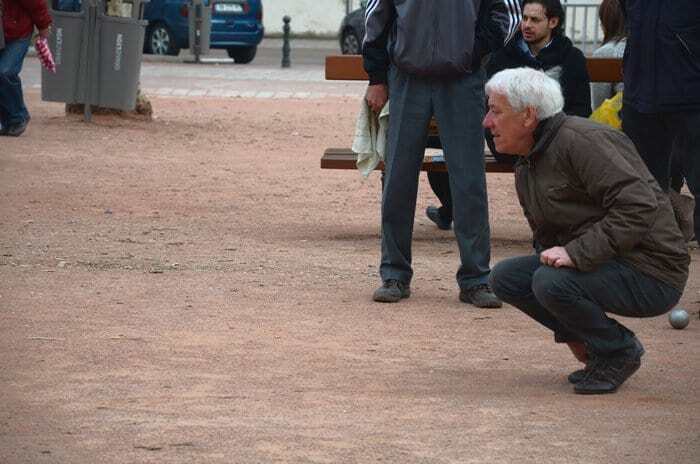 It was fun to stop and watch the games and we found that most passers-by were drawn into the action. 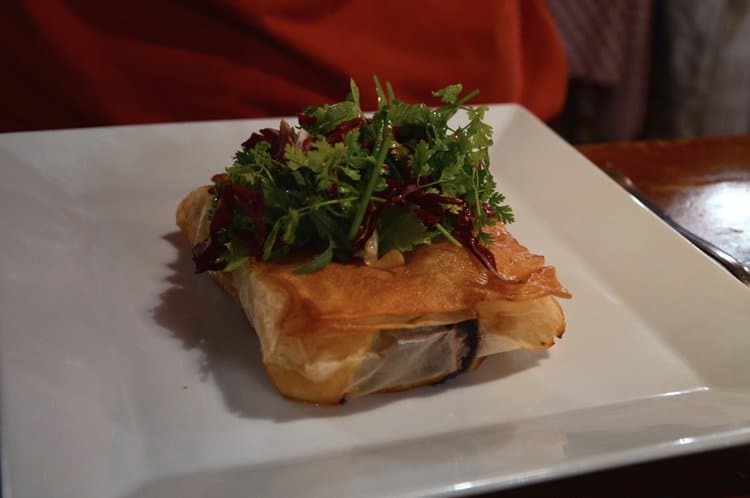 Our time in Lyon was hosted by Rhône-Alpes Tourisme and ONLYLYON Tourisme et Congrès. All opinions, however, are always our own. Ooh, you’ve definitely got me wanting to go to Lyon now! What a beautiful post. I’ve heard good things about the city anyway. It reminded me a little of the Ribeira quarter in Porto, though architecturally very different. I can see the resemblance definitely – both fun cities to explore on foot! 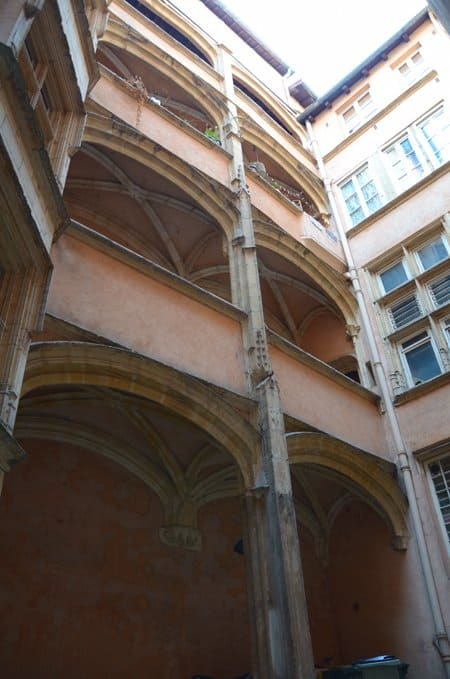 Great architecture and pictures from Lyon. Those passageways look really interesting! I love unique architecture, especially in older cities. Me too, Ali – especially in unexpected places! 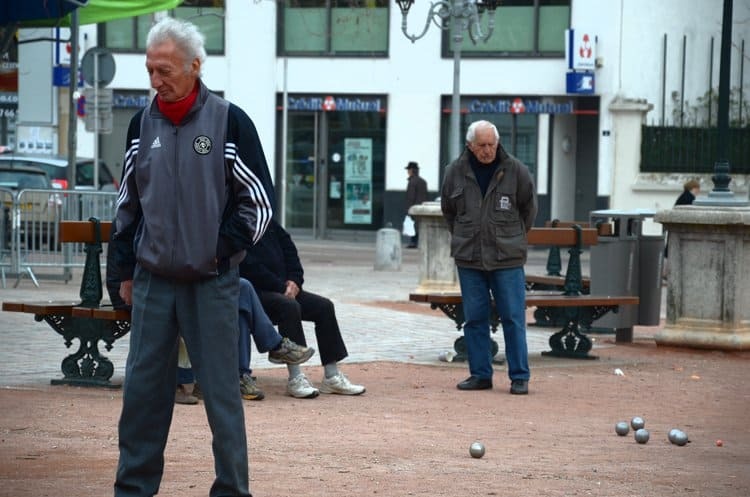 Boules and traboules — both new to me. Loved getting a glimpse inside some of the corridors and seeing the interesting architectural elements. 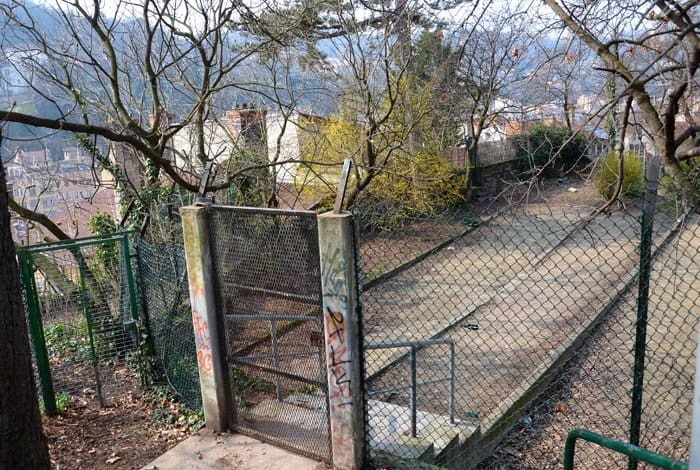 Very different persepective of Lyon than I’ve seen in photos before. My mum was a wizard boule-player.